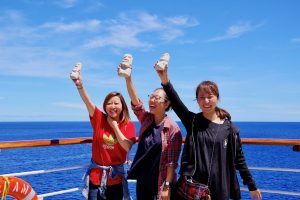 After 5 days at sea from Valparaiso, we arrived at Easter Island. 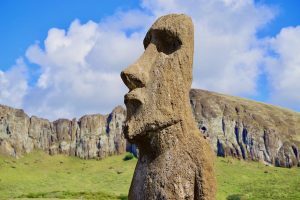 Located 3800km from the South American continent, 4000km from Tahiti, and 2000km from the nearest inhabited island, Easter Island is often called the “Lonely Island”. 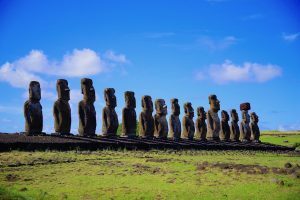 With the distinctive giant Moai statues, the island has fostered its own unique culture, filled with its share of mysteries, and for many people this was the place they were looking forward to the most in the voyage. Making landfall can often be quite difficult, however on the day we arrived there were almost no waves making for a smooth landing in the beautiful morning light, as if to welcome us to the island. 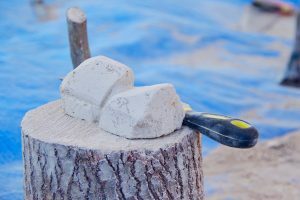 Our travels to Easter Island have now begun. 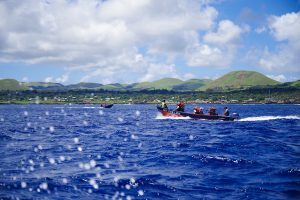 To go ashore, we transferred from the Ocean Dream to smaller boats, coming ashore at Hanga Roa, a relaxed village with a population of approximately 7000. 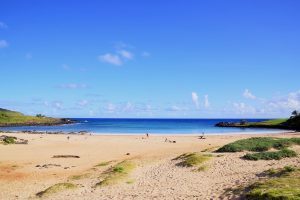 From Hanga Roa, we first made our way to Anakena beach, a beach with brilliant white sand and Moai in the background, it is one of the few swimming spots on the island. 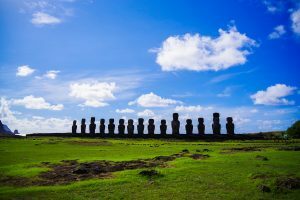 The Moai stand atop stone platforms called ‘ahu’. 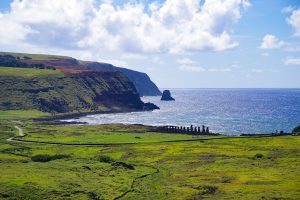 Each Ahu has it’s name engaved below, and the Ahu at Anakena Beach is called Ahu Nao-Nao. 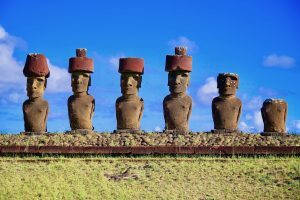 After being buried for a long time, they remain in good condition with 5 of the 7 Moai fully intact, with each Moai bearing a ‘pukao’ on their heads, serving like a hat for each statue. 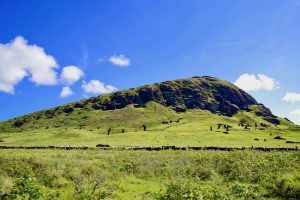 Next, we headed towards Ahu Tongariki where Easter Island’s single largest gathering of 15 Moais stand. 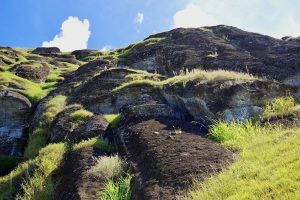 Located atop a remote cliff is the so-called “traveling Moai”. Facing off into the distance, we can somewhat sympathise as fellow travellers. 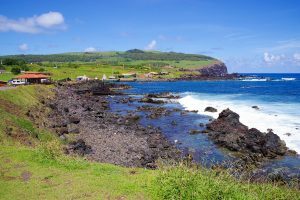 Most of the islands Moai’s face with their backs towards the sea, and they are said to use the mysterious energy “mana” to protect the village. 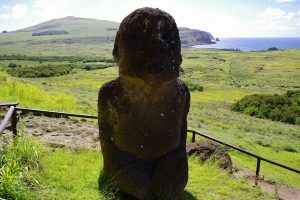 The peaceful energy felt throughout the island is perhaps courtesy of the ongoing protection and watchful gaze of the Moai. 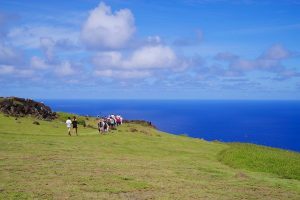 Our final destination is the Rano Kau volcano and Orongo Crater. Orongo has a trekking course, and within the course is the ‘Orongo Bird Man Ceremony Ruins’, where the remains of houses still lie. 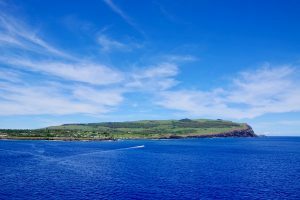 In the bay lies the tiny island of Motu Nui, which stands out in the brilliant blue ocean, the bluest of anywhere yet in our travels. 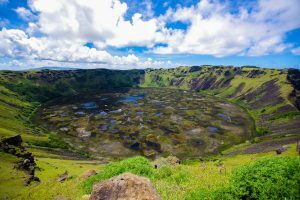 Orongo Crater is right next to the caldera of Rano Kau volcano, and this also serves as an important water resource for the island. One of the still-unsolved mysteries of the Lonely Island is that of the indigenous island text “Rongorongo”. 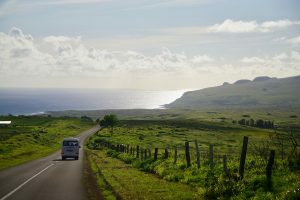 We have traveled all around the world to today be here in this island full of mystery, and now taking in the fresh island air, sea and sky, the mysteries are starting to unravel. 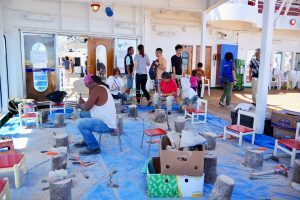 As the ship was anchored offshore, there were held Moai-building workshops, dance performances, musicians, and many different residents of the island come onboard to share the culture of Rapa Nui with everyone. 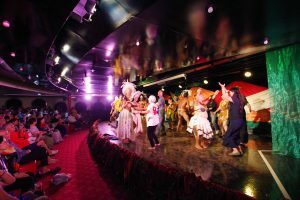 On the seventh-floor stage in Broadway, there was a traditional Rapa Nui performance which told the story of the island and its history through dance and song. The powerful performance was warmly accepted, striking a chord in the hearts of everyone present. 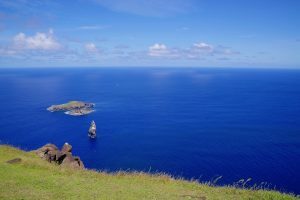 As the sun set, the Ocean Dream but Easter Island behind and continued on its voyage, embarking once again out into the vast ocean, heading out into the South Pacific Ocean towards Tahiti.